The Muppets take a stand. A night at Citi Field. And remembering the great George Jefferson. Even though I’m a Yankees fan, I’ve been to more Mets games than Yankees games this year. It’s partially because of the company I’ve been with, but partially because I (gasp) really enjoy Citi Field, home of the now-sliding Mets (Tuesday they lost their 10th game out of the last 11). I went to the slightly smaller of New York City’s major-league stadiums again on Tuesday, and had a great time despite the home team playing badly again. — The food court is the best I’ve seen at a major league stadium. Excellent variety, the lines aren’t as long because there are so many options, and Carvel soft-serve is never a bad choice. My only quibble: Some of the Nathan’s hot dog stands don’t sell the equally-famous french fries. Folks, it ain’t the same experience if you only have the hot dog. 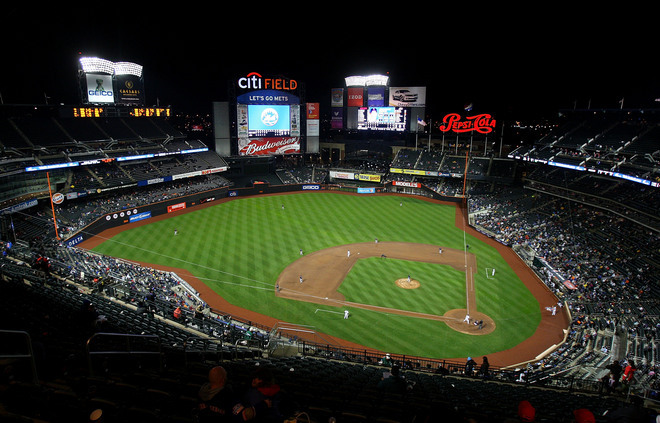 — Very different feeling from Mets fans at Citi, as opposed to Yankees fans at Yankee Stadium. In the Bronx, when a Yankee screws up, the fans boo, yell things at him, and groan loudly. Yankees fans expect perfection or close to it. Mets fans? Well, when Jason Bay, the most overpaid/underperforming player in the majors, struck out, Mets fans just sort of groaned. When catcher Mike Nickeas allowed a run to score by misplaying a throw home, Mets fans just sort of grumbled. I guess when you’ve seen so many screwups for so long, you lose the energy to hate your own players. — One thing I’ve never understood at a baseball game: Why the hell are people still doing The Wave? Seriously, it was stupid in 1986, it’s stupid now. — Finally, it is fun watching R.A Dickey, a knuckleballer, pitch. We sat behind home plate, pretty high up, but even from our seats you could see the ball dancing and swerving and totally befuddling the hitters. **One day after Sally Ride died, another 1980s legend died Tuesday. Sherman Helmsley, who of course played one of my favorite-ever TV characters, passed away. George Jefferson was loud, obnoxious, and bigoted against white people. But he was damn, damn funny on “The Jeffersons,” a show that still endures in memory. I was so proud, I could’ve given them A’s right there. Rest in peace, Sherman. And thanks for the million laughs. 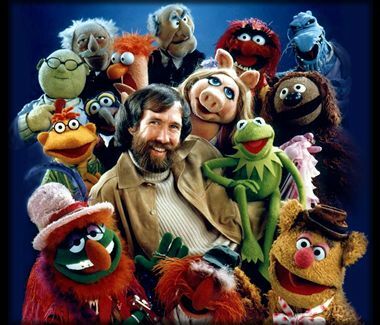 **Finally, I’m always looking for reasons to write about “The Muppets,” and I found one the other day. You’ve probably heard about restaurant chain Chick-fil-A and its president’s recent declaration against gay marriage. Well, Kermit and friends are just the latest group to publicly disavow the disgusting company. Jim Henson Co. announced this week that it will cease working with Chik-fil-A, after previously agreeing to help design a line of kids’ toys for them.